What does family dinner look like in your home? Do you sit at a table or in front of the television? Do you all eat the same meal? My idea of a successful family dinner has changed since becoming a parent. And it’s my son who has taught me that what is on each of our plates isn’t nearly as important as what is happening at the table during our family dinner time. Click here to be re-directed to parents.com to read my personal essay, “Choosing Peace over Peas.” My essay was written in response to a Parents-sponsored essay contest, with a 300-word limit on the theme, “”The Parent I Thought I’d Be.” I was a finalist and won a $100 gift card! Hi Wendy. I grew up in the 50s. My parents were both children of the Depression. Their policy was that one eats what s/he is provided and that was that. 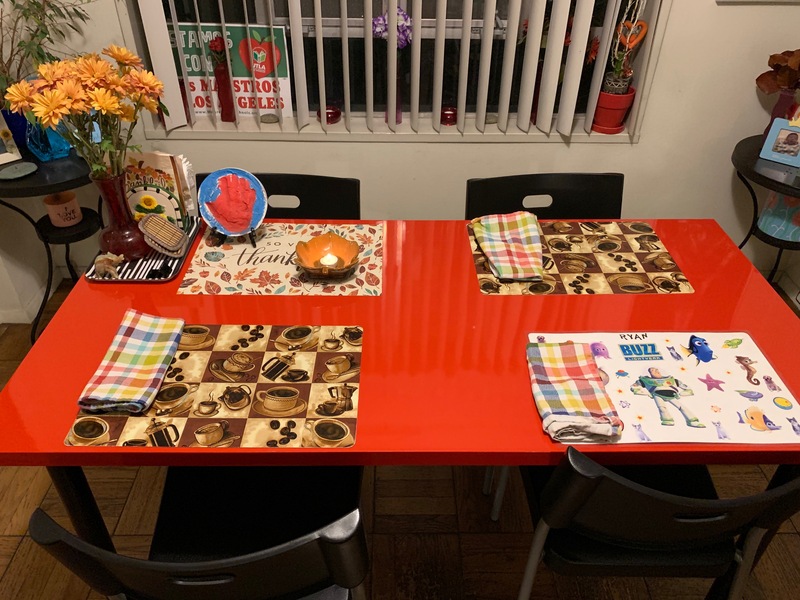 My sisters and I sat at the dinner table until we cleaned our plates — no matter how long it took. I developed a strategy that I still use today: I eat the least appealing food first, when I still have the the greatest appetite. Then the next least appealing, etc. I actually came to like most of the foods I hated — lima beans and squash, for example — but I’ll never touch another piece of liver unless my life depends on it. My wife’s family used a system similar to what you do with Ryan. Whose system was better? I honestly don’t know. Hi John, Thank you for sharing your memories with me. It’s interesting how your method for eating has stayed with you. Likewise, it’ll be interesting to see how Ryan handles family dinners when he’s an adult. He really did teach me that it’s what is happening around the table during the dinners that is most important.